Admen dream about Silvia Medina. She’s part of a highly coveted demographic group, 18-34 year olds, that companies from Coca-Cola to Apple just can’t get enough of. Though her parents came from the Dominican Republic, she was born and grew up in the United States. She’s a fully bilingual, bicultural Latina, just about to finish her MBA. If you want to find her, you’ve got to go online. Silvia has been on the internet since 1996, and uses it constantly for school, work, and at home. She communicates by e-mail, pays bills online, and prefers to shop at Amazon than go to the mall. Silvia catches up with friends on social networking sites such as Facebook and MySpace. She follows the news on AOL Latino and keeps up with chisme on Terra. When she misses an episode of a telenovela, she downloads it on Univision.com. But her favorite spot in cyberspace is the Miami-based portal Batanga. Last year, the company received a boost with a $30 million dollar investment. It’s paid off, since that’s where Silvia spends about 80% of her online time. That comes as no surprise to Batanga’s CEO Rafael Urbina: “It makes her feel good that her music is being played there, that her language is spoken there,” he says. Silvia is not alone. In fact, she’s part of a trend among Latinos of growing internet usage. According to figures from comScore’s Media Metrix, 18.1 million or 41% of Hispanics are online. These numbers make marketers salivate, though there may be even more. According to Dr. Felipe Korzenny, Director of the Center for Hispanic Marketing Communication at Florida State University, who has been researching Latinos online since 2000, usage may be significantly greater. He would raise the ante to 28.8 million, or 65% of the Hispanic population. Anyway you look at it, the number of Latinos going online has reached critical mass. But to understand these numbers, you need to segment the market. The first to go online were acculturated Latinos with a higher socio-economic level, according to Danny Allen from Admixture, an online ad network with about 75% to 80% of websites in Spanish. This is echoed by David Morse of New American Dimensions, one of the top multicultural market research firms. He explains that online Latinos are better educated and have a higher household income. The longer that they are in the United States and especially when they have school-age children, the more time they spend online. But this isn’t necessarily the case for all Latinos. Many recent immigrants lack the education to realize the importance of the internet. In their homes you are more likely to find a huge stereo system or a wide-screen TV than a computer. But as penetration in the Hispanic market deepens, less acculturated Hispanics will go online in larger numbers. This segmentation is demonstrated by a 2007 eMarketer report which reveals 78% of English-dominant adult Hispanics are using the internet, compared to 71% of non-Hispanic whites. At the same time, only 32% of Spanish-dominant adult Hispanics were online. Allen notes that the broad availability of cheap broadband and cheap computers has helped move Latinos online. The ability to get internet access through mobile phones has also has been a factor, since Latinos generally over-index in the use of cellular advanced features. One theory is that this is because they don’t have a computer at home so they do most of their interacting through mobile phones. With the advent of the iPhone and its ability to cruise the “real internet,” it’s becoming less of an issue that websites have to be mobile-friendly. Where are all these Latino internauts going? When analyzing the top 10 sites visited by Latinos in comScore’s Media Metrix, one notices that the most popular are those from Yahoo and Google, followed a bit down the list by Amazon and EBay. The most popular Latino-themed site, Univision.com, gets a lot of traffic but is barely within the top 30 properties. Yet there are several very successful websites that have caught the attention of the Latino consumer, garnering loyalty as well as eyeballs. Todobebé.com has been around since 1999, evolving into a full-fledged multimedia company serving Spanish-speaking mothers not just online but via television, radio, print, and event marketing. Terra is the portal of Spanish telephone giant Telefonica. Its CEO, Fernando Rodriguez, shares that one of the most visited areas in Terra is music, and there the most popular are the artists’ own pages, in both Spanish and English. He emphasizes that what is most important is content, not language. Then there is Silvia Medina’s favorite, Batanga. She certainly is not alone regarding her preferences. Rick Marroquin, Batanga’s chief marketing officer, joyfully shared that in comScore’s, Media Metrix, Batanga was at 3.5 million unique visitors a month inside the U.S., with 1.1 million identified as Latinos. Batanga was born in 1999 in Greensboro, North Carolina as a Hispanic online radio station. Around the same time, Venezuelan native Rafael Urbina started a company by the name of Planeta Networks, offering internet video on demand. 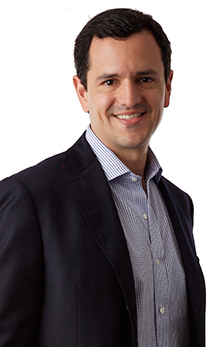 In 2005, both companies merged, with headquarters in Miami, and Urbina now serves as CEO. In August 2007, Batanga raised $30 million for the expansion of its marketing efforts and online content. The lead investors, Tudor Ventures and H.I.G. Ventures, both manage multi-billion dollar portfolios, and have funded a wide variety of enterprises. What’s the secret of Batanga’s success? Urbina emphasizes that Batanga is living proof that Hispanics are online. The fact that most of them are late adopters compared to the general market has resulted in them connecting to the internet directly through broadband, rather than a dialup connection. In effect, Latinos have leapfrogged an entire technology. Currently, less than 50% of the entire Latino market is online and the Batanga team believes this number will continue to grow in a much faster pace than the general market for many years to come. Despite the success of Batanga and its rivals, the debate continues. Yet marketers agree that the important thing is to define who you are trying to reach and then devise strategies that are meaningful and relevant to them. The mostly acculturated Hispanics are achievement oriented. 74% of them prefer to read online content mostly in English, 4% in both languages, and 22% don’t have any preference. Partially acculturated are more socially oriented: 34% of them prefer to read online content mostly in English, 12% in Spanish , 27% in both languages, and 22% don’t have any preference. The relatively unacculturated are mostly oriented to family and home. 9% of them prefer to read online content mostly in English, 31% in Spanish, 41% in both languages, and 19% don’t have any preference. Curiously, research has shown that English-dominant Hispanics have more blogs than any other group in the U.S. while Spanish-dominant Hispanics have more websites. The latter is due to the cultural tendency of trying to be connected, to try to have relationships and connections. Dr. Korzenny has heard reports that many immigrants build their personal websites to show loved ones back in their home countries how they live. But by far the greatest controversy is which language to use. Fernando Espuelas, chairman of Voy, a Latino entertainment network, quoted a recent study by the Pew Hispanic Center showing that 75% of the growth among Hispanic consumers will come from those born in the U.S. as opposed to immigrants. Also, Espuelas continues, English language adoption among Latinos is happening at a much faster rate. Yet he agrees that the Spanish language, culturally, is very important for the Hispanic community. Some argue that English language sites should develop content in Spanish, since many users prefer reading in that language. But exactly the opposite has been happening with traditionally Spanish language websites. To reach a larger percentage of the Latino market, Terra has been producing bilingual content, particularly to cover specific events like the World Cup, as well as the Oscars. Terra executives have noticed that more and more bilingual and even English-dominant users are coming to their site looking for relevant content. Their conclusion is that language is secondary to the content’s appeal. Have advertisers kept up with this growth? Hispanic advertising agencies are starting to develop more and more interactive advertising capabilities and as they do they are looking for quality websites, declares Allen. In the last 18 months he has seen the agencies’ attitudes evolve from believing that Latinos weren’t online and that it was enough to reach them through print, television, and radio. Now, they are realizing that they are far behind the general market agencies in online capabilities, and are working hard to catch up. Of course, there are exceptions–several Hispanic shops such as Batanga’s agency, Austin-based Latinworks, saw the light a while back. Espuelas predicts that there will be a very rapid evolution of advertisers. Those who never advertised in English to Latinos are starting to do so and those who traditionally only used television will now broaden their buys to include digital. He foresees a very significant growth in the overall marketing and communications investment pie, disproportionately in digital media as opposed to traditional media. Media Economics Group tracks advertising activity targeted to multicultural markets. They have been tracking online Hispanic advertising for more than five years. Its president, Carlos Pelay, has seen a notable increase in activity in terms of the number of active brands advertising to Latinos online. Most major advertisers are present on the leading portals. In terms of campaigns, Univision.com ranks number one, then AOL Latino, MSN Latino, Que Pasa, Batanga,Yahoo Telemundo, and StarMedia. For major campaigns, advertisers are buying several portals at once. That’s good news for Silvia Medina, and for all Latinos online.